Drivers faced major delays after an incident on the M27 this morning (Tuesday September 25). 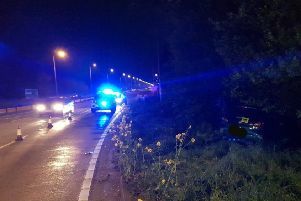 Two lanes were blocked at one stage westbound between Junction 12 for the M275 and Junction 11 for Fareham. Delays backed up to the A27, with drivers urged to avoid the area if at all possible. A spokesman from South Central Ambulance Service has confirmed that a rapid response vehicle has been sent to the scene. All the lanes have now been re-opened and residual traffic is clearing.